Al Barari villa's surrounded by landscaped gardens. 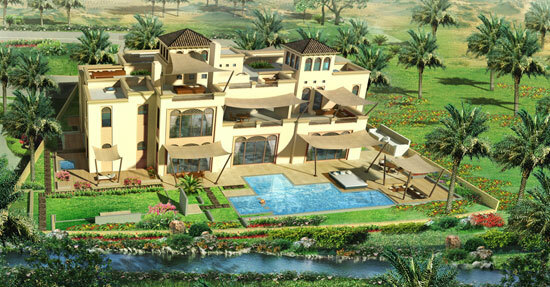 It's private villa homes represent the finest in luxury Dubai living. From the moment you arrive you will be captivated by the luxurious, oasis-like setting of flowering gardens and botanic hideaways. Al Barari magnificent private homes are set in their own landscaped paradise with infinity pools, water features, entertaining areas and roof-top terraces catering to the discerning taste of those who come home to Al Barari. Al Barari designed with long-term ownership in mind, and with only a small selection of villas for sale, those aspiring to own a luxury Dubai home.